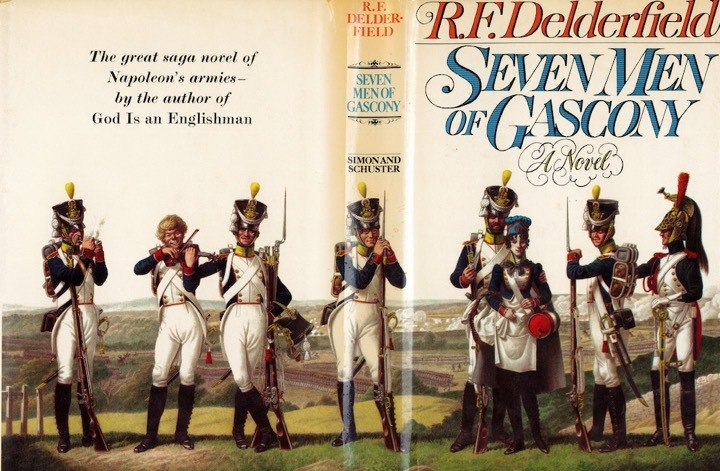 'The Seven Men from Gascony' by R.F. Delderfield describes the life and times of seven men and one very tough, intrepid woman, who were brought together during the Napoleonic Wars. 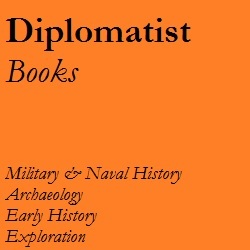 The characters struggle through battles, imprisonment, starvation and peace. They fall away one by one until only a single member remains to recount their story. The book is an example of its genre and time: undeniably masculine, perhaps a little wooden and oftentimes quite sentimental. Nonetheless, it has much to say about compassion, friendship and humanity. 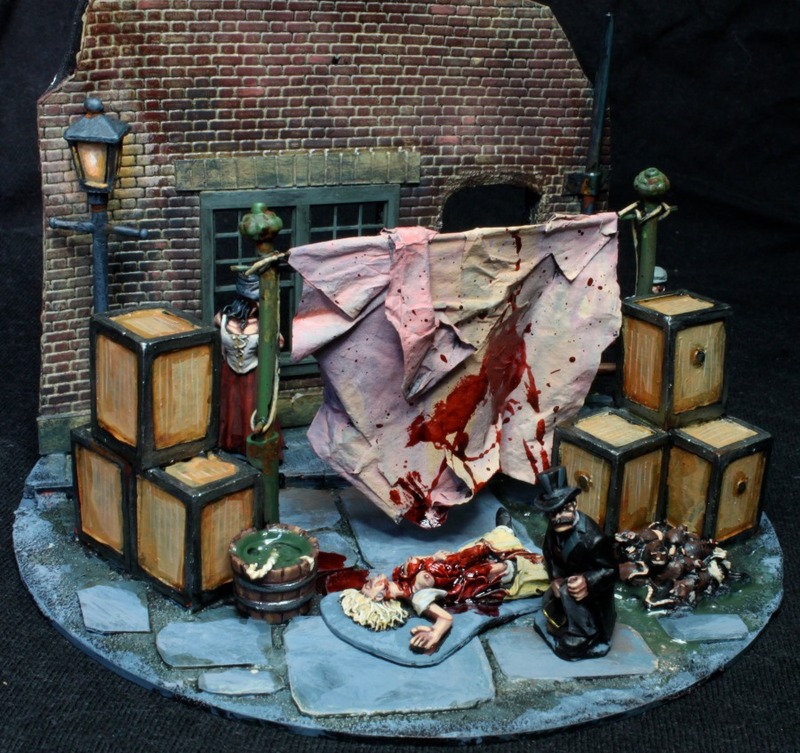 The figures can be in any scale and in any genre (pulp-adventure, science-fiction, fantasy, etc.). 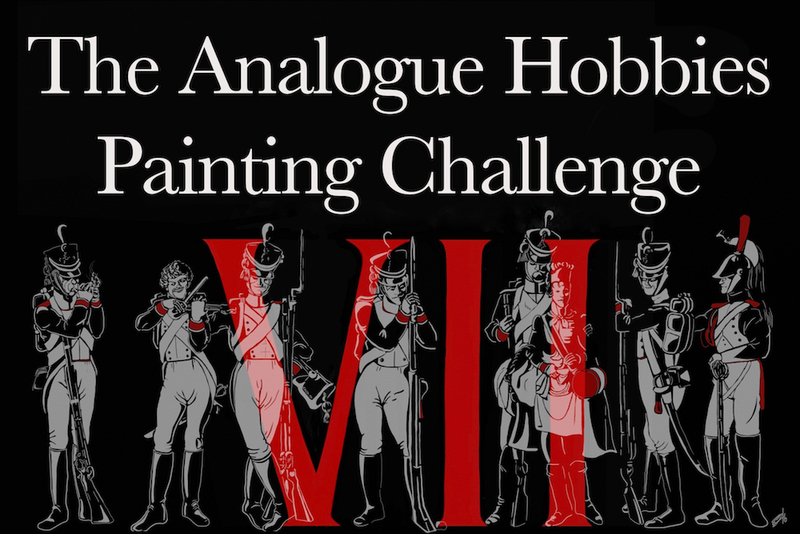 In order to be scored, photos of all figures/units along with a short description must be uploaded to the Analogue Hobbies Painting Challenge blog. Up-to-date scoring will be maintained on the blog's main page. I will send out an email to all Challengers prior to the event to for further details. Participants must have an entry submitted within the first month of the event (i.e. January 20th). Failure to do so will result in being dropped from the roster. 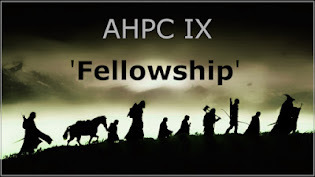 The Judge (me) will participate, but my score will not have any standing in the Challenge (I will continue my perennial struggle to stay in the midst of the pack). I will be the master of ceremonies, but I've press-ganged a group of Minions to assist me in keeping this crazy circus on the rails - more on that later. Similar to previous years, I ask that each Challenger declare his/her points target that they hope to achieve by the March 20th deadline. Many participants have found this a great incentive to help maintain their pace over the three months of the Challenge. I encourage Challengers to pick a target that is just beyond your comfort zone, but still achievable. As a rough benchmark, 400 points is considered a manageable amount for someone who is new the the event and/or has a busy work/life schedule. Also remember that a significant amount of points can also be secured by participating in the Bonus Rounds (more on this below). Relating to the points targets, many folks have a lot of fun issuing 'duels' to other participants in order to race to meet a declared target, paint the most figures for a specific period, etc. I leave this to the participants to organize, but we're happy to log the duels and keep track of their progress. Same as previous years, we will have a series of thematic Bonus Rounds. Each Bonus Round asks Challengers to enter a submission that illustrates a particular theme. The Bonus Rounds are not mandatory, they are just a little bit of fun to pace out the the Challenge and allow people to gain some points and fame through presenting themed vignettes and single figures. Figures for the Theme Bonus Rounds should be 15mm or greater and can be of a historical or fictional subject. The theme submissions are to be sent in by 12:01 am (CST) on the specified date (In other words, get it in by Saturday night!). For each bonus round I'll post a poll listing all the round's entries so visitors can vote for their favourites. As in previous Challenges, I ask for a memento from the Challengers. 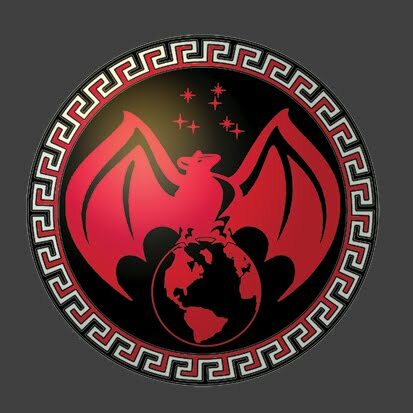 In the past I've asked for a figure from every participant, but to keep things in theme, for this year the Challenge entrance 'fee' I ask participants to team up with another, or others, to create a submission. For example, two Challengers could work on one figure (one painting the horse while the other the rider), while another group of Challengers could create a vignette or a themed grouping of several figures (a famous trio or band). The point is I want participants to work within a team. The submission can be of any theme, genre, period, etc. Do what you like - have fun with it but it has to have a central theme tying it together. The submissions will be supplied and painted by the entrants. They can be submitted any time up until the end of the Challenge. Again, same as previous years, for each Challenger I will donate $5 to the Saskatchewan branch of the Regina Humane Society. If you wish to participate please send me an email along with your desired point target (curtcampbell at mac dot com). I'll place notification in this space when all the participant slots for the Challenge have been filled. Wonderful news and some exciting twists this year. Will be writing entry email a little later! I almost missed this post, I am in! Thanks Curt for organizing the Hallowed Challenge for yet another year! Very good! But I am a beginner and do not know the address ... Where to write? Great to have you along Benito! Was only talking about this yesterday with BigLee, wondering when we'd get the call to arms!! I can't wait, my email is on its way! Thanks again for all the work that goes into getting this show on the road! Good to have you with us Steve! For the 5th bonus round, could I suggest adding TV series to the theme? Oh, Tamsin, this time will be 2 mm instead of 6 mm? 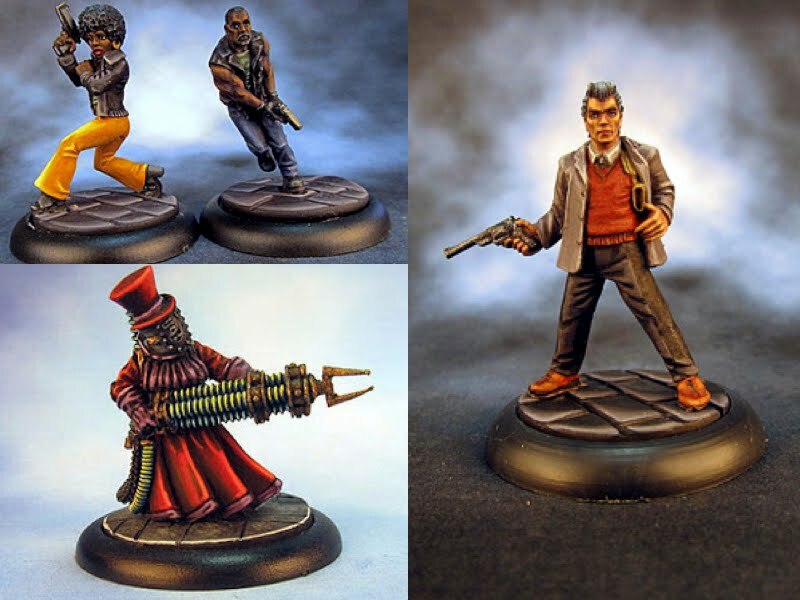 I actually did paint some 2mm last year as part of the "Millsy Is A GIMP!" bonus round entry. Great post, and fantastic news! Just what these long winter nights have been waiting for. Please count me in! I'll drop you an email regarding points, and thanks again for organising! Hello everybody! My name is Alex. I'm from Russia. I do not use doping. :) I'm an pain-holic. 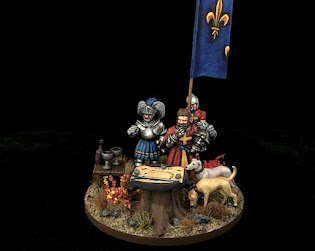 I am glad that I will again paint the miniatures in the company of good men and women. Discussing this with Millsy just the other day (shortly before he trounced my mighty army at the First Battle of Bystro), so I'm glad to see that it's chocks away at long last! I'm back for another round, so count me in, Snowlord! As always I'm in Curt as it's now pretty much tradition. Nick(MartinN) and I will be having a Spanish Civil War duel this time around. You and Martin both doing SCW? Great! Mr Campbell you are a crafty bast..., umm, gentlemen with this years bonus rounds. Of course I am in (assuming you'll lower the challenge standards and allow me in). I'll set my painting goal at 2,000 points. Please count me in again. Not sure what my target will be yet but I certainly won't be contending the top of the leaderboard (not with 6mm figures thats for sure!!). I would indeed like to take part again this year. I'm in, I've emailed, now to continue prepping. Woohoo, I've been looking forward to this for ages. Now there's some great news. Welcome back mate! Glad to have you back - I always paint with my feet but I suppose that obvious given the limited quality of my work. Glad to see you back in the challenge James! Great to have you along this year James. Good timing mate. A pile of new lead arrived just today and will make for a great start. Now, where did I put my mask? Mask or not, it's wonderful to have The Millsy with us again. Gotta agree with Curt. That's just plain creepy! Bravo! Great to have you with us Padre. Well done, Michael, well done indeed, Sir. Great news! Count me in again! Excellent news! What is your points target this year Samuli? Are you joining us Michal? Anyone wanting to team up for the entry "fee". Maybe some nordic co-operation? Finnish co-operation sounds like a good idea as well! And so it begins. I'm in and my email is winging it's way to you. Please count me in Curt. Great stuff Curt! I'm in with an entry in your inbox. I loved this book as a teenager, but almost forgot about it. Now I have to find a copy. I can lend you mine if you can't source one, Pete. Great news - I'm in. E-mail to follow. Terrific! Great to have you with us again Edwin. oh here we go again then.. im in..
Oh excellent I have another Nurse figure this one with a gimp mask and whip.... If I can find another I could do you and Millsy! Clint,.. Nurse Millsy's main equipment is a shovel don't forget,,! I am in and will try and round up some other locals. Get out the press-gang Byron! I am in! And looking for folks who wish to duel in either 30k, moderns or Napoleonics...with a spread like that, how could I fail to lose three duels? but hey, if I'm to be humiliated, why not make it public! Also Greg, want to make an all Canadian theme entry submission? As dangerous as a fart in parliament? I am in, having caused Rules Paragraph V . . . Yes, 6mm will be fine for that theme. Hi Curt, email request sent. I would like to participate again this year, please. My target would be 1000 points. More Assyrians and a lot of other projects are lining up on my table ready for painting. Thanks. Just submitted my request to join. Very excited! I have a load of Kickstarter figures coming in December. Hoping the challenge will get them painted up and on the table by Spring. Not going to miss out again, e mail launched. You're on the roster Ken. Now, get priming! Not a problem Curt, I've got stuff in my to paint pile I primed 3 years ago ! Excellent news! Count me in I say. Mail sent, in it again, but much lower level this time around. 1000 pts should be doable. Got another move to take care of here so.. :( But looking forward to seeing everyone's entries! Huzzah, I'm back in for another year. My figure painting has been especially slack since the last theme and yet my spending has continued unabated so this is just what I need! email sent. Gosh darn it to heck - I've pretty much finished all of the 30k stuff that I had..... but now I find myself looking at stuff to get a third legion going! I shall have to see if I'm able to resist buying yet more 30k stuff. If I fail, I shall absolutely join the duel. Willpower roll failed - more 30k goodies inbound, so I accept the 30k challenge! This is exactly what I need to get me back at the brushes. Huzzah. We should set up a duel. What thinks you? Now that I finally understood where to send my request, I can say - I'm in! 1,000 points for me should be enough to start. Great to have you along Peter! Oh. Mail in the morning once email is working again, but my target is a measles 750 points this year due to work shenanigans (probably). You would also decide to start *after* my first week off wouldn't you! Your place on the roster is secured Paul! If there is still room. Please consider me happy to take part. 700-1000 points and a 6mm side challenge to Ian and Tamsin! And happy to take any 10mm side duels as well . Also if anyone wants to team up on the Entry fee let me know or I can see it being a Billy No mates entry fee! You're marked in Clint. I put you down for 800, let me know if that works for you. Thanks Curt that is great. I will try to get more than 800 of course but so many Zulus to paint in 10mm and ACW to paint in 6mm that I fear it will mostly be small stuff. If there is still room I am ready to join in to this year's painting challenge. Planning to work on some 15mm Sci-fi and 28mm Ancients this year. Setting a realistic target of 250 points, which seems low in comparison to some of the heavy hitters here but keeping my feet on the ground. Looking for a painting partner for the entry fee as well if any one is on their Jack Jones. Still looking for team member for the Challenge entry figures. Anyone interested? Hi Ross, I'm also on my jack Jones,first time doing this I'd be happy to join forces email me on caveadsum1471@yahoo.com if you want. Evening Curt. I have submitted my name to take part. I haven't painted much in the last 2 years so I will just aim for 500 points. 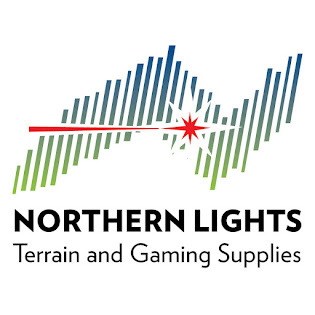 I have some 25mm Vikings & Normans for two Saga Warbands, as well as 28mm Bolt Action Soviets. In addition I have a couple of 15mm DBA armies primed over a year ago. I hope this provides the incentive I need to paint. Last night I ordered 3 Hussite War Wagons from Irregular Miniatures to finish a long ago started projet. And as a start I used last weekend's beautiful weather to clean and prime some figures. Good to see another old Haligonian on board Rob. Would you be interested in a Dartmouth Ferry side duel? I am on for 800 points, but we could set the bar at smoother level than total points. Evening Peter, why not. I've put in for 500 points but will see how things go. There is a requirement for some sort of collaboration for our gentle organizer. Interested? Excellent news Curt, please count me in. E-mail to follow shortly. Instead of "pilloring" cheaters, why not use the wargamers tar and feathers - white glue and flock? I wish that something similar to this could be done for making terrain or painting structures. I found out about this challenge also from Alex Sengir. I plan to take part in it. 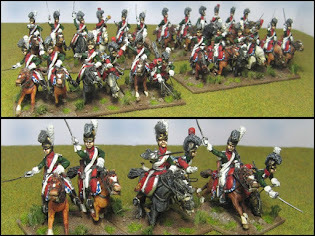 My target is 500 points.I plan to paint, principally, vehicle WWII on a scale of 15mm and 28mm figures of Napoleonic Wars. You're on the roster Valery! Welcome! Apology (as I've discovered I haven't sent you last year's mini yet!!) and humble request for 500pts entrance has been emailed. I am in, been prepping for months it seems, anyone want to join Tamsin, Clint and myself in the 6mm side challenge? No prep for me... I am starting raw and fresh. But sent for the entry fee figure9s) last night now I know what the team are doing. I am not in for this year but will be following what transpires. I have a lot of sorting of stuff to do at the moment and don't think it will be possible to do the challenge. I also still owe my entry and side duel figs. Those will be forth coming. Thanks for doing the challenge. I'll look to be back next year. Curt, can we get a bit more of a description of what you are looking for in regards to the theme weeks? I ask as right now "east" and "west" could literally be anything. Meaning as an example, the "middle east" is east of Florida, but west of Japan, or east of Japan if you go around the globe. It could all be relative to your location, or perception. Meaning, as far as I can tell, I could do any figure I wanted (even sci-fi as it could be argued they are east or west of a relative point) for either of those weeks, as currently written. Also, "Terrain (home)", does that mean you want a home as terrain? Or that you want home made terrain? Hoping that clarification is coming in the start your engines email, but just making sure. The Terrain 'Home' theme should be a piece of terrain that can be interpreted as being some sort of home. Doctor Campbell's Home for Deranged Painters, for example. The Challenge is not all about big points, though you will see some real big submissions but is all about encouraging you to increase your output. The challenge is full of friendly encouragement and not a small amount of good sport pokes to keep us all going. 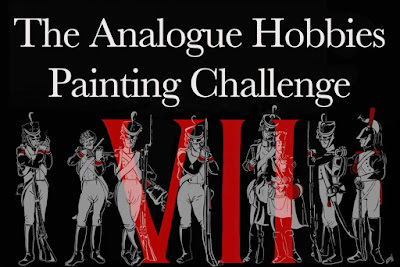 I agree with Ian and view the Painting Challenge as a personal challenge to commit more time and effort to my hobby of the past 35 years. 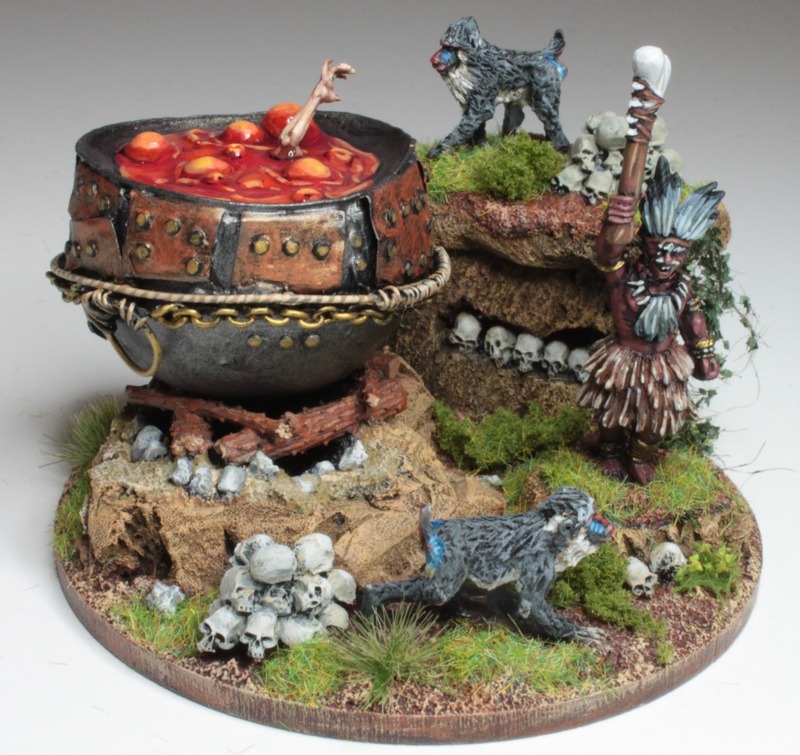 Achieving high scores is great but so is completing that unit that finishes off a warband or company that you have been painting over the last twelve months. The rewards and satisfaction are relative to the individual as well as the collective group as a whole. Enjoy your painting challenge Drew, as I am sure we all will ours. I am very much looking forward to the upcoming challenge. With military winding down,the power plant completing outage and my house movement near complete... I am looking forward to some fun hobbytime!